ime is Who could ever forget that line? If you watched any infomercials during the 90’s then chances are you’ve heard of the inventor, salespersona, and founder of Ronco; Ron Popeil. Now if you haven’t watched the video and left to get a mouth-watering rotisserie chicken by this point, let’s look at the famous slogan. The idea of “Set it and Forget it” was a major selling point of the Showtime Rotisserie. We’re all busy people, and the less effort we have to put in to get things done the better. Plain and simple, why would someone slave over the hassle of making a chicken when you had a tool to manage the hard parts for you? Especially when you need to focus other things. Now there’s nothing wrong with managing something yourself– If you enjoy doing the hard work. But if you’re a business owner time is money. 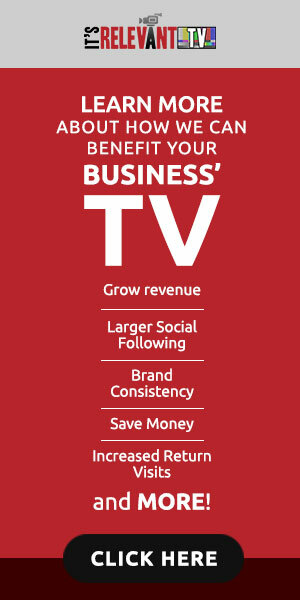 It’s Relevant TV provides a “set it and forget it” service for your business TV. The custom channel runs on its own and pulls tailored content from a vast media library for viewers to enjoy. It lets you be busy elsewhere doing the things you need to get done. No more paying for cable and worrying about what to put on – the quick segments and broad categories are catered to appeal to a wide audience, and ensures that fewer people are disappointed by what they’re seeing. It’s Relevant does more than put original content on your TV, there’s a whole list of other features that come with it. From sharing and deals you’re offering people, to promoting your social media for all to see – it works for you. You’re in control. With IRTV, you literally set it and forget it. or visit: http://www.itsrelevant.com for more infomration. Next Next post: Free TV Services: What’s the Real Cost to a Medical Office or Business?